No one goes into a marriage with intention of getting divorced. But even in the best of circumstances, divorce can happen to anyone. Unfortunately, there are many factors that can cause divorce like estrangement, financial troubles, and worst of all, adultery. Seeking an Glendale divorce lawyer is your best bet when trying to sever ties with someone who has committed adultery. But before you pursue a divorce, you should get all of the facts about Adultery and what kind of alimony you can receive when it happens to you. Consult your Glendale Divorce lawyer for any other adultery and alimony questions that you may have in the future. Infidelity is not an easy thing to deal with. If it has happened to you, then you are aware of how much harm this could cause to you emotionally. In Glendale, you may be wondering if adultery is illegal as it is in many states. The answer is yes. 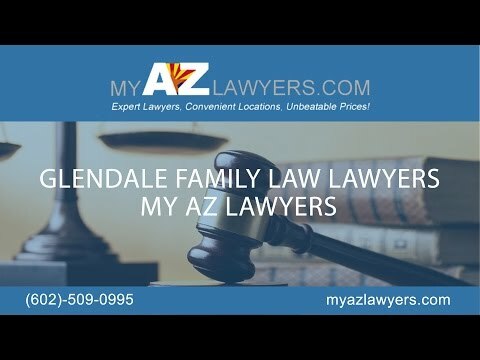 In Glendale, you can file a complaint against your spouse saying that they have consorted with someone else while the two of you were married. This is considered a class 3 misdemeanor and your ex-spouse could face up to 30 days of jail time and have to pay fines and be put on probation. Unfortunately, this law is not particularly enforced, and you may want to take this into consideration before you file the complaint against your spouse, as it could have an affect on the alimony that is owed to you after the divorce is final. Many people don’t know what alimony is. In the simplest terms, alimony is spousal maintenance. This is a payment made by one spouse to maintain the financial stability of the other, usually the victim in the situation. When determining the amount of alimony and how long the alimony is to be paid, the court takes several things into consideration. Some things that the court will take into account are the duration of the marriage, the couple’s standard of living during the marriage, whether the spouse who is to receive the alimony has the resources they need in order to provide for his/her reasonable needs, and the financial ability of the providing spouse to meet those needs. Sometimes, the court may also take into account vocational training or education that the party who is seeking the alimony my need to find suitable employment and other factors as well. When trying to be awarded alimony, you should know that there are two basic types of alimony. The first is temporary alimony. This kind of alimony is awarded while the divorce is proceeding. The other kind is a post-divorce alimony. This kind can be a permanent kind of alimony or it will be limited to the time it takes for the person who is receiving the alimony to be self-sufficient and financially stable. Knowing which kind of alimony will best suit you is crucial when you are entering the stages of your divorce. In Glendale, we are a no fault state which means that it is not necessary to prove marital misconduct when requesting a divorce, especially in the case of adultery. Because adultery is a misdemeanor under state law, the court will not consider any evidence of wrongdoing, even if the innocent spouse has been harmed because of the other’s infidelity. Also, adultery is not a consideration. The judge’s order has to be reasonable and just and made without regard to the other spouse’s misconduct when making determinations about spousal misconduct. Adultery is a serious offense and being awarded alimony because of it is entirely in the judge’s power. Ultimately, adultery will usually have no affect on you being awarded spousal maintenance. The court will consider the other factors listed and determine whether or not you should be awarded the alimony you deserve. So if you are looking for a Glendale Lawyer who is willing to fight for your financial needs, come to My AZ Lawyers and we can provide the proper legal aide that you need in order to get your life back on track and move on from the horrendous adultery committed against you. With our expert legal counsel, we can help you with any questions you may have about adultery and alimony. With our help, you can take the next steps to a fresh start, so contact us today for a free consultation.